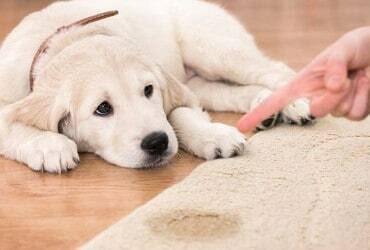 It’s no secret why it’s important to clean the carpet on a regular basis. Aside from removing visible stains, it also saves you from developing embarrassing odors and not to mention the health hazards that a dirty carpet may bring. However, cleaning a carpet is easier said than done especially with the other commitments you have such as work and family. That being said, it’s important to find carpet cleaning strategies that will maintain the cleanliness of the fabric and at the same time, won’t consume a lot of your time and money. No matter how busy you are, it’s important to commit a little time in vacuuming your carpet. Dust, hair, dirt, and other debris easily accumulate in the fabric and if left unclean, can only result in the growth of mold and odor. It can also pose a health risk for young ones, elderly, and those suffering from allergy. After all, this is easier and cheaper than replacing a worn out carpet. There’s no other way to keep your carpet clean and stain-free than wiping the spills right after it happened. This will also avoid developing odor and hard-to-remove stains. However, you should know how to properly remove and what you should apply depending on the type of stain. For instance, if it’s water-soluble like ice cream, mud, or alcoholic beverage, you can use a non-bleach detergent and water solution; if it’s special water-soluble stains like blood, vomit, or chocolate, you can use an ammonia-water mixture (unless it’s on wool or wool-blend fabric). Make sure to do a research first on how to get rid of stains to avoid further damage on your carpet. Most chemical cleaners are harsh on the skin and when inhaled; thus it’s best to use it in an open area or well-ventilated place. Be sure to wear gloves, too, when using it on your carpet. When using a chemical to clean the fabric, apply it on a small hidden area first to ensure that it will not ruin the carpet’s surface or color; if you think it’s safe to use, use it to clean the stained area using a gentle, circular motion. When done, rinse it with water and be sure to blot dry it using a rag or cloth. You can use a fan, too, to ensure that the area is completely water-free to avoid growth of mold. If you want a safer option, you can opt for a mild bleach, liquid detergent, and water. Just be sure to avoid using this on wool and nylon carpet. This solution is a good alternative when water is not enough; however, if the stain is too stubborn to remove, it’s best to choose a chemical cleaner instead or seek professional assistance from carpet cleaning companies. While it means spending money for their service, this is a cheaper option than replacing the carpet itself.